The week of May 14th to the 18th marked the first annual SZIE International Week. 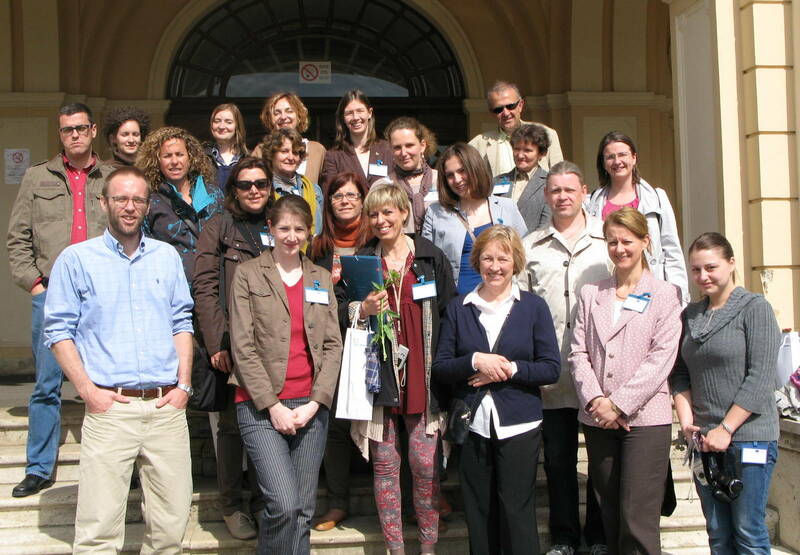 29 representatives from 21 partner universities in 10 countries around Europe attended the week to learn more about SZIU and share best practices and experiences in international education. Prof. Erika Michéli gave the commencement address to participants on Monday morning. Her address was followed by a summary of SZIU’s international activities by Dr. Zsuzsanna Tarr, Head of the International Relations Office. On Tuesday, IW participants took part in an International Fair and cafe, attended by SZIU students who were keen to learn about some of the study abroad possibilities available through the Erasmus, CEEPUS, or other exchange programs. 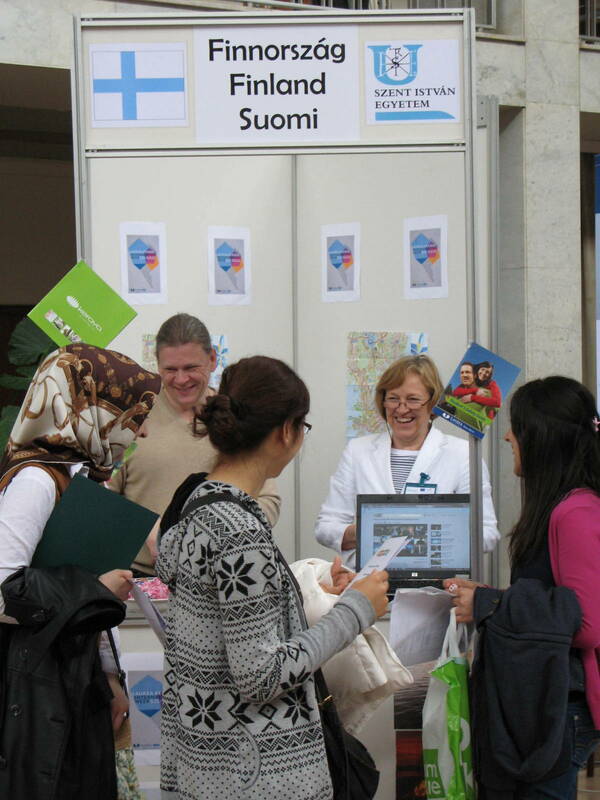 20 booths were erected in the Aula at the main SZIU campus in Gödölő; each representing a different country and staffed by partner university personnel or visiting exchange students. The International Cafe showcased the culinary habits of the represented countries. The event was deemed a great success by both partners and students. The events of the week were highlighted by visits to all of the SZIU campuses around Hungary. Each visit allowed the visitors to learn more about who we are at SZIU and what we do. Visitors learned about cooperation possibilities which they might have been previously unaware of. Participants were treated to a one hour “emergency Hungarian” language course on Thursday morning from the international languages department. There they learned several words, phrases and folk songs which will hopefully come in handy in the future! 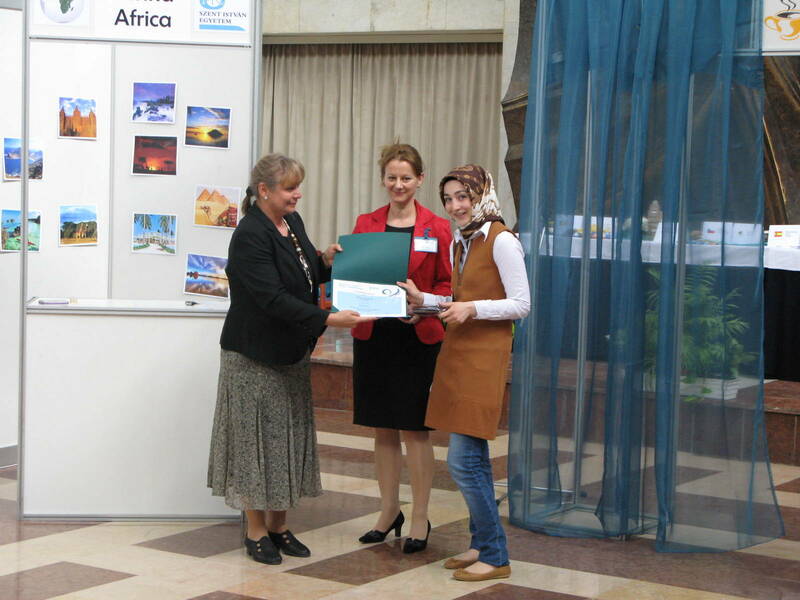 Feedback from the participants was positive and preparations are already underway for the next international week, hopefully to be held in the Spring of 2013.